An embedded servo drive from Metronix (Germany) provides an economic upgrade path for Pfankuch Machinery. The smart drive has allowed Pfankuch to increase the speed of its latest friction feeder - the Smart Feeder - by 50 % while also doubling the positioning accuracy. FRICTION FEEDER SYSTEMS ARE BUILT FOR INSERTING LEAFLETS and products into sales packaging. This upgrade offers a massive gain in productivity for the many users of this type of packaging equipment in markets including pharmaceutical, food and beverage processing, along with extended application versatility. At the same time, the embedded drive minimizes the hardware costs of the upgrade, because it was adapted for the application, providing a stripped-down product suitable for OEM integration that eliminates numerous expensive components. The control hardware was upgraded as part of an exercise to improve the performance of one of its most popular friction feeders in the mid-range sector of this packaging equipment market. The upgrade project targeted the motion control element of the packaging machine, as the basic mechanical structure of the friction feeder is well proven and reliable. Before the upgrade, the general-purpose friction feeder offered an insertion capability that performs real-time registration and inserts items up to a maximum speed of approximately 100 items/minute, to a position accuracy of nearly 2 mm. The motion control hardware used to achieve this was a brushed DC motor, and a relatively simple drive that was designed and manufactured in-house. 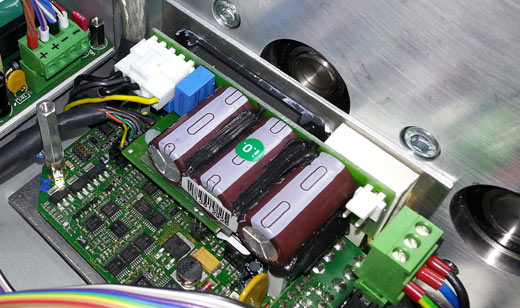 The German company Pfankuch wanted to improve speed and precision as much as possible, while also changing the motor type to a brushless AC servo - to eliminate maintenance and help speed acceleration times. Crucially, the electronics upgrade had to be achieved without increasing manufacturing costs by more than a small margin, in order to keep the machine price- competitive in its market segment. The key factor in the upgrade was finding a suitable servo drive. Most servo drives tend to be offered as complete packaged products, and these are far too expensive. However, when the packaging OEM approached Metronix about a drive from its smart DIS-2 range for decentralized applications - which offered an control platform for the single axis in this feeder – the company was more than willing to adapt the drive for embedded use to reduce costs and simplify integration. This made the upgrade project feasible. Moreover, Metronix was also willing to provide engineering support to help Pfankuch to implement the changes to the motion control subsystem. The optimization exercise involved stripping the DIS- 2 drive of all non-essential components. This included eliminating the casing and expensive system-level connectors. Application-specific connection and mounting was then added, and some modifications to the drive's firmware were made to optimize performance. The resulting brushless AC servo drive solution increases the friction feeder’s insertion speed from 100 to 150 items/minute, while simultaneously doubling positioning resolution to 1 mm. 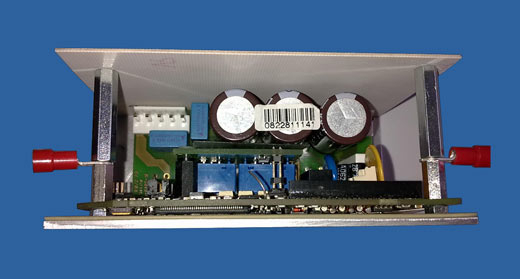 The embedded drive also provides a modern network expansion interface to provide a platform for future enhancements of the feeder: a CANopen port. The packaging machinery OEM also has the option of adding daughter boards later, which could provide additional fieldbus interface options such as Ethercat or Profibus. One of the key ways in which the drive improves the speed of friction-fed insertion cycle is through local control intelligence embedded in the DIS-2 drive, which both performs the control calculations more rapidly, and employs a more sophisticated positioning algorithm that adjusts drive speed more often to enhance registration resolution. Joerg Lastig of Pfankuch comments: "Developing our own state-of-the-art drive was viewed as a complex and costly project for own engineering team, so the major barrier for us was finding a commercial drives specialist that was willing to partner with us and adapt its product for our Smart Feeder machine. Metronix is one of a very small number of suppliers that was willing to help, and provided in-depth engineering support that has helped us to bring the upgraded machine to market on time and budget - which we are confident will set a new price/performance benchmark in its market segment." "We managed to strip around 20% of the hardware cost from the DIS-2 module to make the drive viable for this embedded application," adds Metronix's Frank Essmann. "The project is a great example of what customized drives can do for OEMs - which in this case we believe increases performance by such a large margin that it will help this packaging machine supplier to increase its market share." 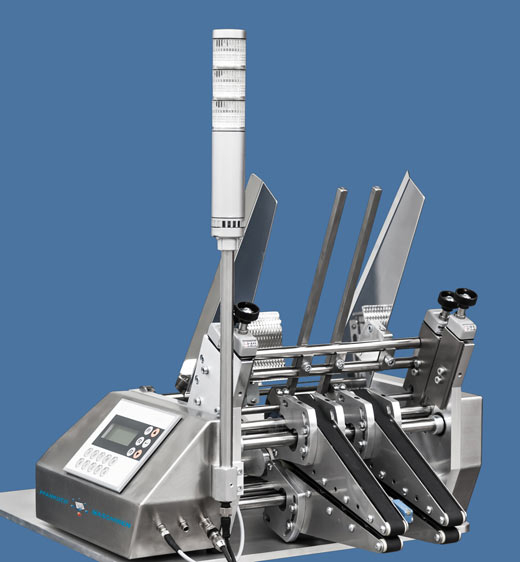 The feeding speed and precision positioning performance of the system has now been improved by such a large margin that it even competes with high- speed feeder systems in applications that do not require multi-axis control. This higher performance product category typically includes a powerful dedicated motion controller or PLC and tends to cost at least twice as much as standalone friction feeders. In addition to improving performance, a number of improvements were also made to the feeder to simplify operation and use; one of the most important is an easy means of changing the friction belt to suit different insertion applications.